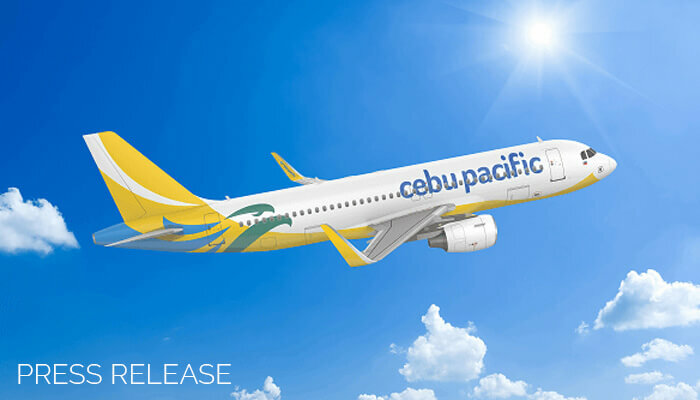 The Philippines’ leading carrier, Cebu Pacific (PSE: CEB), has chosen OpenAirlines’ solution to save fuel and reduce its carbon dioxide emission per flight. CEB is OpenAirline’s launch customer in the Asia Pacific region. Under the agreement, OpenAirlines’ software will continuously analyze the flight data of all 57 aircraft on CEB’s fleet (7 Airbus A319, 36 Airbus A320, 6 Airbus A330 and 8 ATR 72-500) and the upcoming 48 on order (32 Airbus A321neo and 16 ATR 72-600). OpenAirlines will deliver this service by deploying SkyBreathe® Fuel Efficiency, a complete fuel management system which uses sophisticated Big Data Algorithms. Through the meticulous monitoring of fuel consumption patterns by OpenAirlines’ software, carriers are provided business intelligence that can help optimize flight operations. On each flight, SkyBreathe® analyzes multiple sources of data including flight data recorders (black boxes) and helps the airline implement a fuel-saving plan that systematically results in remarkable cost reductions. The advanced consultancy arm of OpenAirlines has fuel experts assisting companies in implementing new best practices. Also, every opportunity of saving fuel is displayed into lucid and synthetic dashboards. ”Cebu Pacific offers flights to an extensive network of more than 90 routes on 64 destinations, spanning Asia, Australia, the Middle East, and USA. With more than 12,000 flights per month, all the data automatically collected by SkyBreathe® will help us save time and achieve the best fuel economy. Fuel is a significant factor in airlines’ operations, accounting for 20-40 percent of their cost. With this new fuel program, our passengers can continue to enjoy the lowest fares possible for their flights,” says Lance Gokongwei, CEB President and CEO. “We have been delighted to build close working relationships with the Philippines’ low cost and largest carrier and very proud to be selected by them. We are looking forward to the benefits of using OpenAirlines’ consultancy and software to further optimize their fast-growing operations,” says Andrew Jong, OpenAirlines Sales Account Director for Asia. “With 18 airlines on all continents now using our system, OpenAirlines has become the fastest growing fuel preservation software provider and the number one provider among low cost airlines. This deal also marks a cornerstone in our Asian development, being the first one inked by our recently opened sales and support offices in Hong Kong,” says Alexandre Feray, OpenAirlines CEO. For bookings and inquiries, guests can visit www.cebupacificair.com or call the reservation hotlines (+632)7020-888 or (+6332)230-8888. The latest seat sales can be found on CEB’s official Twitter (@CebuPacificAir) and Facebook pages. Guests may also download the Cebu Pacific official mobile app on the App Store and Google Play. Cebu Air Inc. is the largest carrier in the Philippine air transportation industry, offering its low-cost services to more destinations and routes with higher flight frequency within the Philippines than any other airline. Openairlines was founded in Toulouse, France, in 2006 to meet the needs of airlines to optimize their flight operations and reduce their costs. Leveraging a team of airline specialists and data scientists, it offers innovative software solutions to save fuel (SkyBreathe®), manage crews (CrewIntelligence™) and fleet (OCCIntelligence™ and OptiFleet™). Openairlines has worldwide presence in Europe (Toulouse), Americas (Chicago) and Asia (Hong Kong). Consulting and Software Solutions for Airlines Flight Operations, Crew and Fleet Management, Fuel Saving and CO2 Emissions Tracking for EU-ETS.